It’s happened to all of us: we’re driving along, minding our own business, obeying the traffic laws, heading through that green light when suddenly we hear the sirens and see the lights and there’s the cop screaming through the intersection! Brake! Brake! Brake! Avoid the accident—if you’re lucky. 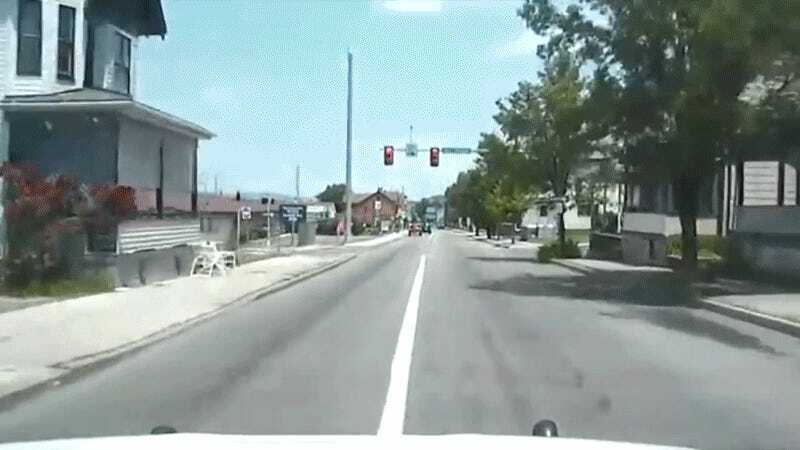 Dashcam video from the Altoona Police Department shows a cruiser crash into a motorist after running through a red light last week. 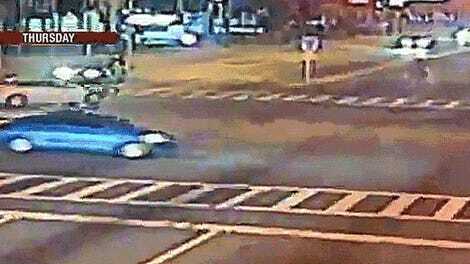 The officer was responding to a call at the time, but did not properly slow down to ensure the intersection was clear. The officer received a citation as a result. Thankfully everyone involved received only minor injuries. The legality of officers running red lights is pretty gray, but it’s widely accepted that they should use extreme caution and be extra vigilant when crossing against the light through an intersection. That’s, uh, not what happened here. Was It Legal For Police To Detain Every Driver At This Red Light?